The time I met my all time favourite band | gingerbread smiles. Since forever I've been listening to Busted and McFly. 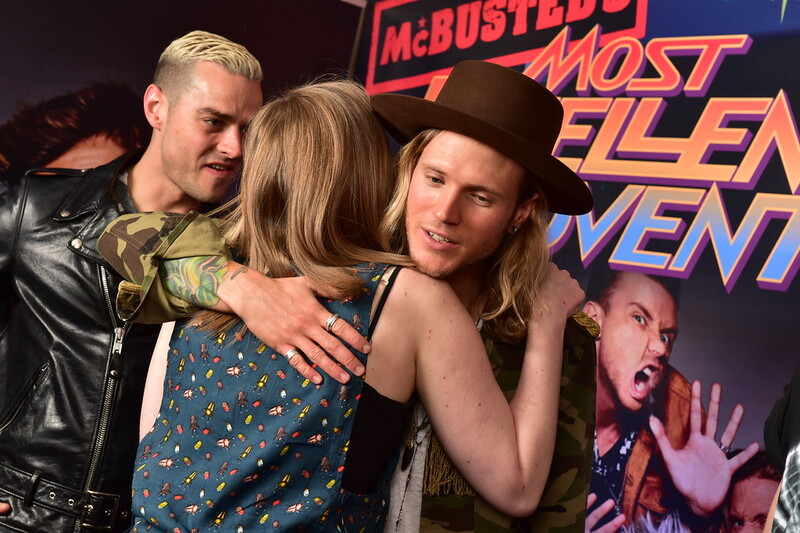 When Busted split the focus was more on McFly. I'm obsessed with all their songs and have been to a few of their previous shows. I went to the 10th anniversary gig at the Royal Albert Hall and was very pleased to see Matt and James join the McFly boys on stage. It was a real buzz hearing Year 3000 again. When they formed a super group I was very excited! 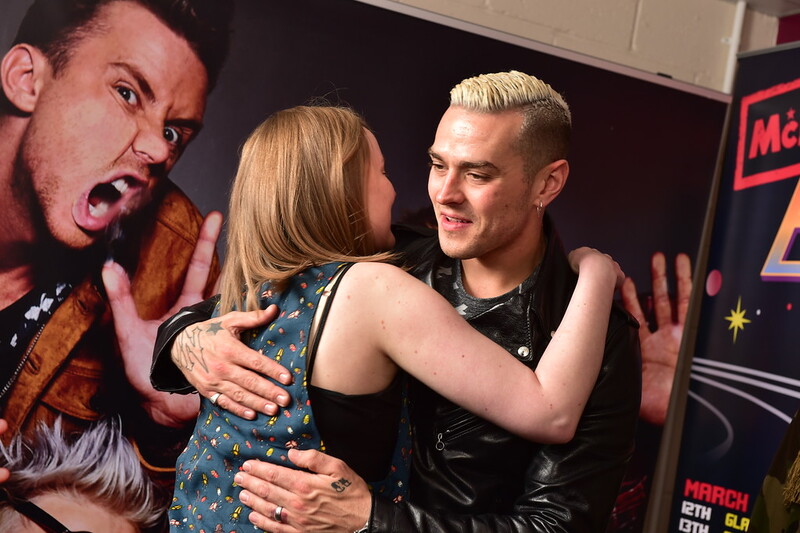 I didn't mind the collaboration and couldn't wait to hear Busted's songs again. When it came out that they were going to do a meet and greet at their next tour I was all over it. 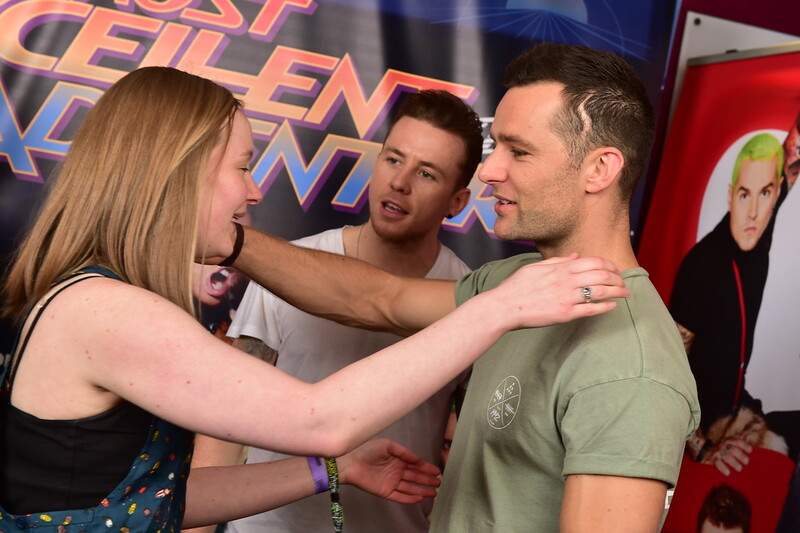 I've loved McFly forever, especially Tom, so this would be an opportunity to tick one thing off my bucket list. Meet my favourite band. So I forked out £110 and waited eagerly for the day to come around. I went by myself to meet the band, meeting up with my mum and her friend later for the concert, but I saw many people going with their friends, parents and siblings whilst I was queing. When inside the venue we all got in to a new queue specifically for meet and greet. 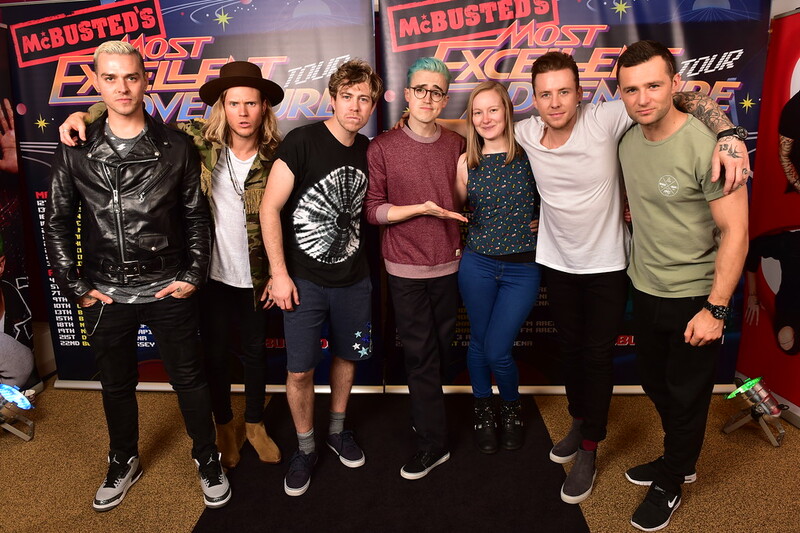 After what seemed like an eternity, we were taken up the stairs to meet McBusted! When people started to go into the room it was very exciting knowing that they were right behind the wall. People came out with the biggest smiles on their faces saying how lovely the band were. I got chatting to two lovely girls in front of me and we all couldn't wait for our turn to come. When I got to the front and went into the room it was so surreal seeing the band in person. They were real life 3D people. I know that sounds strange but you see them so much on TV or hear their voices on CDs, so to see them that close up is so weird! I got to give them all a hug and as I did Harry asked my name. I said and Danny said great name, and Harry said you'll have to stand there then. In between Tom and Danny. That was fine with me! 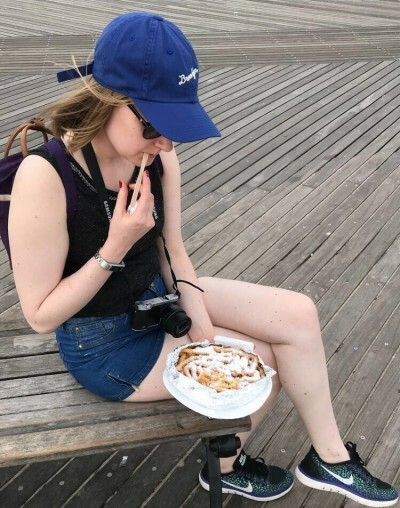 I got a few pictures taken and that was it. Over so quickly. I was fretting all day to what I'd say to them and in the end I shouldn't have as I didn't have chance anyway! I loved meeting them and don't regret paying that much money even though I didn't see them for long. I'd probably do it again so I could get a bit more time and this time maybe have a little chat! Have you met your favourite band before? What was it like?